For almost two decades our law firm has been helping residents and businesses in Somerset County navigate the complex laws of federal bankruptcy. 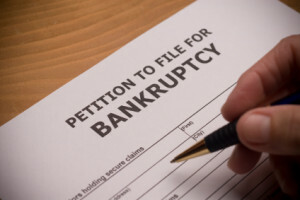 Our bankruptcy lawyers are experienced practitioners in Chapter 7, Chapter 11, and Chapter 13 bankruptcy cases. Financial problems often arise when a spouse or partner gets sick or loses a job. Divorce, business failures and over-reliance on credit cards are also leading causes of financial difficulties. Our lawyers have the experience to guide individuals toward obtaining the fresh start that a bankruptcy proceeding can provide. In addition, we help small business owners reorganize their financial affairs. Our bankruptcy attorneys regularly appear before the United States Bankruptcy Court for the District of New Jersey in Trenton, which is where bankruptcy cases are filed for Somerset County residents and businesses. The filing of a bankruptcy petition creates an automatic stay pursuant to Section 362 of the United States Bankruptcy Code. The automatic stay prohibits creditors from continuing with certain actions. Foreclosures, wage garnishments, vehicle repossession, credit card lawsuits, breach of contract lawsuits, and other collection actions are subject to the bankruptcy automatic stay. Further, a bankruptcy filing means that collection agencies and creditors cannot continue making harassing telephone calls. Our bankruptcy attorneys have assisted many businesses and people from all walks of life. We have helped doctors, stockbrokers, business owners, policeman, fireman and other civil servants resolve their financial problems through a bankruptcy filing. In the midst of a financial crisis? Want to save your home or car? We can help! Contact our experienced bankruptcy lawyers today. Find out how bankruptcy may be able to solve your financial problems.